These flattering pants elevate any outfit of the day. 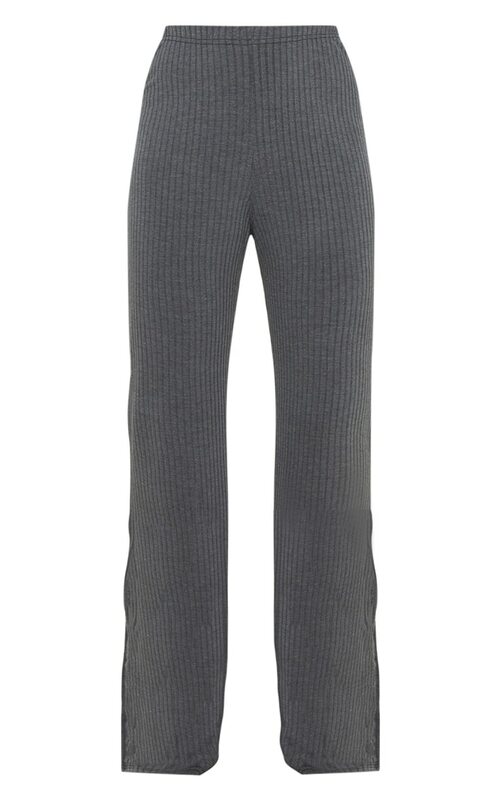 Featuring a grey jumbo ribbed material with a straight leg fit and a split hem. Finish off the look with a cropped sweater and chunky sneakers for an off-duty look we're obsessing over.